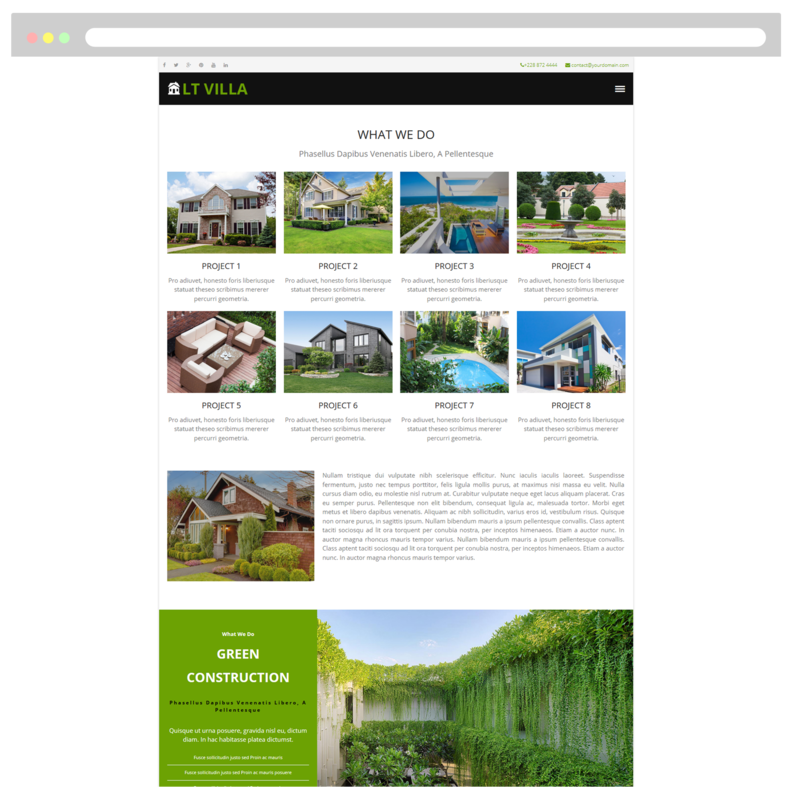 Villa WordPress theme is a masterpiece of villas and modern houses, which offers you many ideas for house construction business and showcase it in a beautiful way! 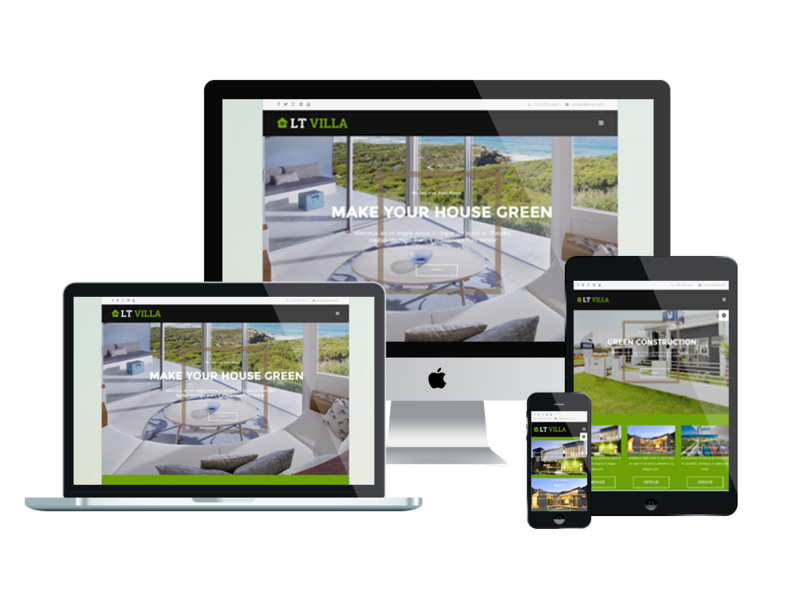 LT Villa is a responsive WordPress theme which is designed especially for Green Construction/Unique Design websites. The theme appears as an artistic and elegant solutions for modern houses. One more strong emphasis of this theme is that it offer creative ideas and friendly-environmental decoration for house construction business. All the attractive design are specifically targeted to those who love construction in general. 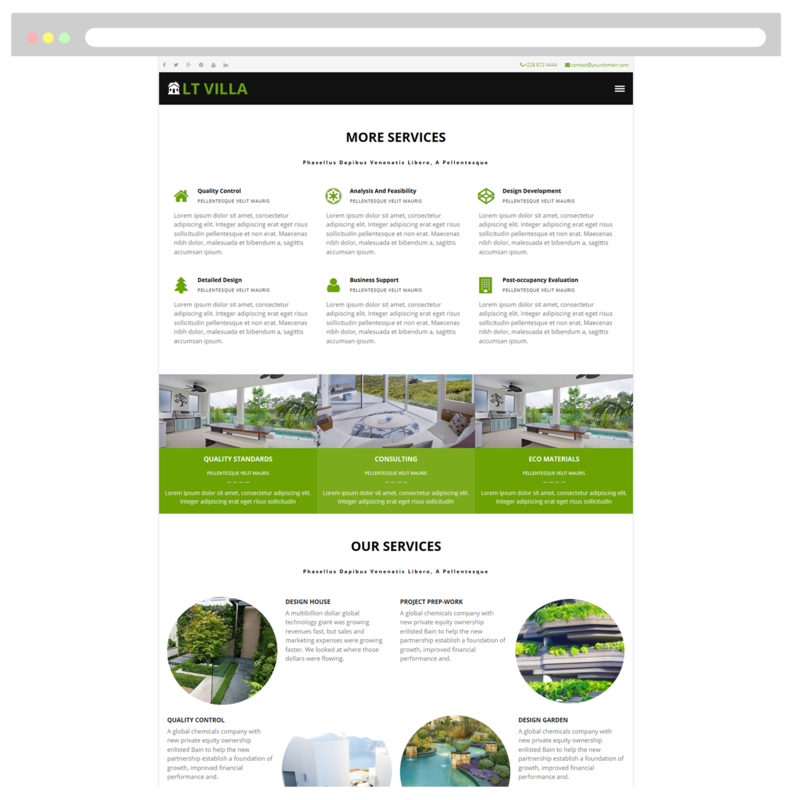 This Villa WordPress theme supports your site a full responsive layout, so your site will look gorgeous on any mobile devices. Plus, many great built-in features like shortcodes, drag-drop layout content, Bootstrap CSS & Genesis framework are also available to help you customize the site easily without any effort, but still give your site an amazing look. Especially, with unlimited color and a color picker in the admin panel, it is not difficult anymore to make your site more brilliant than ever and attract more customers attention! This is a page dedicated to introduce information about your company. Besides, present its experience, staff, skills and testiminial to everybody through this page. In order to create the most favorable environment for attracting investment in projects of your company, this page will introduce and help customers understand the details of the services including quality standards, consulting & eco materials, ect. 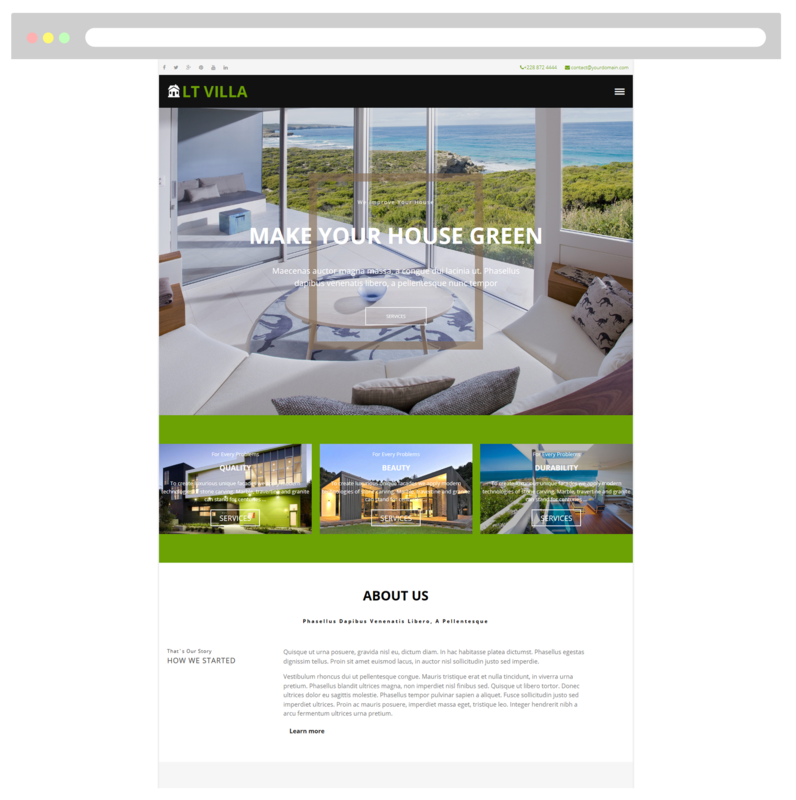 Present all your green construction projects on this page. So customers can find out more and consult on projects that the company you’re working on. 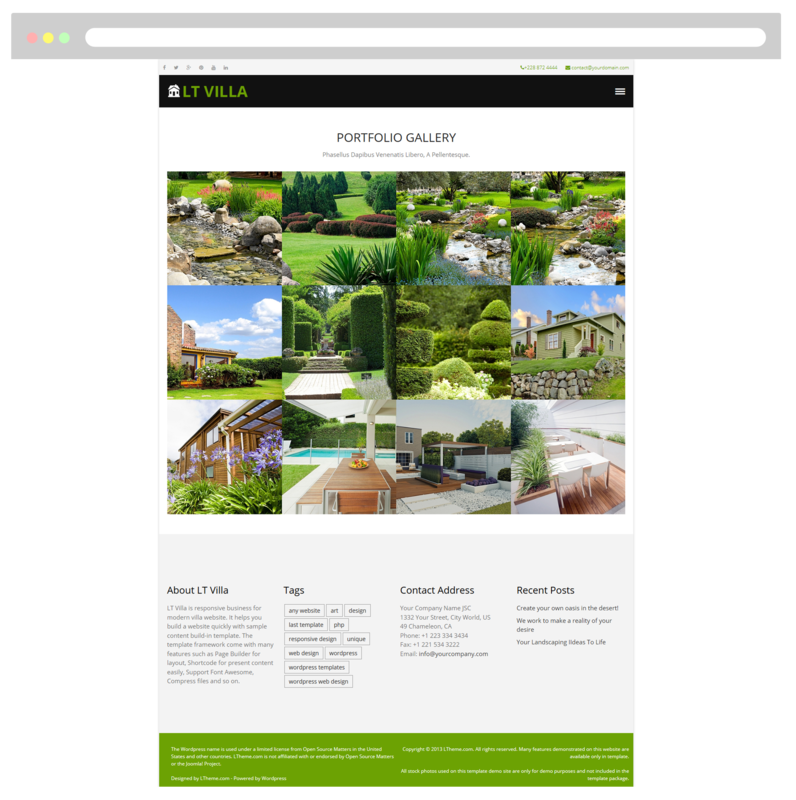 Portfolio page showcases gallery about featured products of your company. It allows you to categorize and tag your products in a way that doesn’t overlap with the rest of your posts. We offer various creative designs in an eye-catching manner for portfolio page. 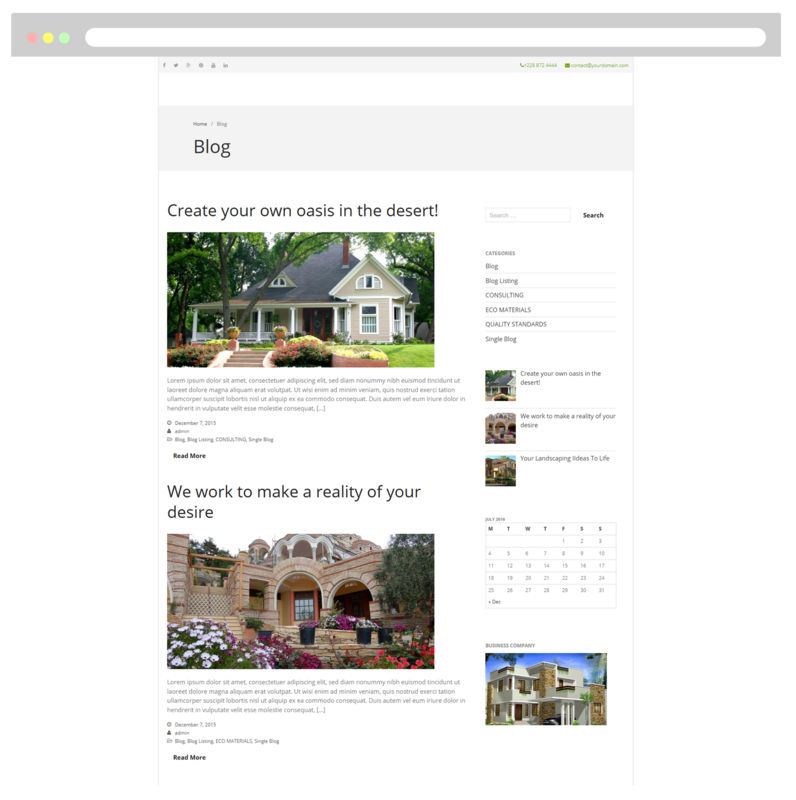 This page allows you to display the necessary contact information about your construction company to customers. Moreover, Contact Form helps clients send feedback to your company with ease.